Most articles you read on fibromyalgia (FM) will focus on symptoms such as, vitamin deficiencies, hormone imbalance, mineral resorption, or lowered cell function. Then they talk about the symptoms of these symptoms: muscle pain, back pain, sleeplessness, depression, chronic fatigue, irritable bowel, etc. The problem is that with this disease, until we discover its underlying cause, we are left in the dark chasing never-ending symptoms. Time and time again you will read, “No one knows the cause of fibromyalgia…” and so fibromyalgia sufferers believe that they are left with an endless revolving door of symptom care, as their condition worsens, they rush from one temporary relief to the next. The truth is that the underlying cause of fibromyalgia has been found and thousands of people have been helped. This discovery stemmed from a certain chiropractor’s work on Degenerative Disk Disease (DDD) in the 1980’s. Dr. Brice Vickery found that an alarming number of his patients had a consistent severe imbalance in the pancreas meridian points for protein, carbohydrates, and fat (these points were discovered by Reinholdt Voll M.D.) These same patients would not hold their chiropractic adjustments. Suspecting structural changes in the spinal disks, Vickery used the CAT scan and MRI. He knew that structural changes must be present and that he needed an adequate testing method and so developed the BEV Tests and the Confirmatory Challenge Tests (both of which have been published in professional journals in 1989 and 1991) These tests showed Grade 1 intradiskal lesions (lesions inside the disks) in all the patients with pancreatic point imbalances. Vickery deduced that even if his patients were eating enough dietary protein, their pancreatic ability to produce digestive enzymes must be inhibited to the point that complete digestion of protein, carbohydrates and fats was impossible, leaving them deficient in systemic protein. Vickery knew that food must be broken down to its basic components of amino acids in order to be reassembled into systemic proteins by the body. Partially broken down food is at best useless and at worst irritating to the system. If the system does not have the proper materials, it cannot provide maintenance, protection, and repair services to the body. Immune cells, hormones, fluid regulators, brain functions, energy production, structural integrity, clotting factors, nervous tissue, joint receptors, enzymes, and on and on, these things require adequate amounts of systemic protein. If just a small amount of the food we eat is being completely digested, then we will only have a small number of systemic proteins to take care of the huge job of maintaining our bodies in a state of good health. If we don’t have the systemic proteins that our body needs to regulate, repair, protect and maintain our system, we cannot maintain good health. We can only get these proteins if our body breaks its food down fully into the basic building blocks, amino acids. This can only happen if the pancreas and duodenum are able to make the proper enzymes to complete digestion. Retiring from his practice, Vickery devoted his time to research on this problem. He created a new testing method. He modified electro acupuncture (EAV) and combined it with applied kinesiology to create what is now known as The Vickery Method of Testing (TVM). TVM allowed Vickery to rapidly and accurately test hundreds of patients in his research, looking for the best way to get protein into the body. 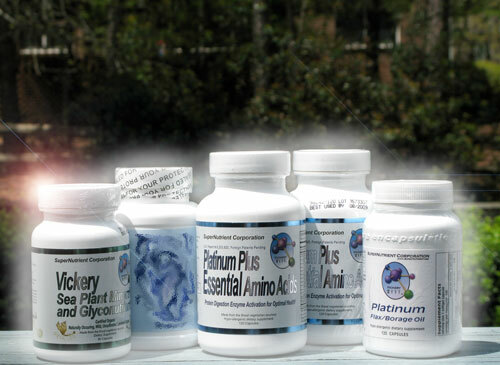 In the 1990’s he finally came up with a particular blend of essential amino acids which when taken between meals, enabled the pancreas to manufacture the necessary enzymes needed to break down food. 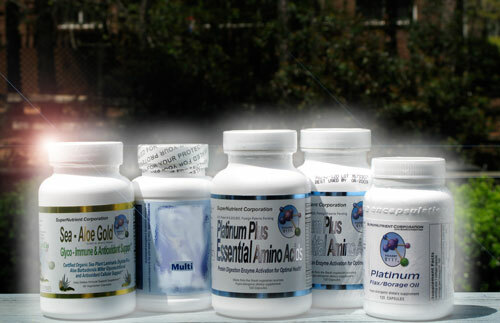 This blend (Platinum Plus Essential Amino Acids, US Patent 6,203,820) worked consistently and over the long term, traits that other protein and amino acid supplements did not have. 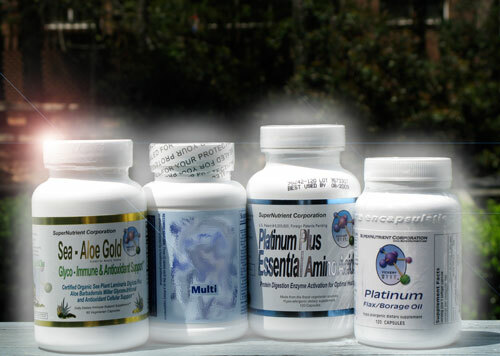 Vickery found that the pancreas points rebalanced and the spinal disks began to regenerate within ten to twelve hours of taking this amino acid blend. This was confirmed with Cat Scans and MRI’s. During the time that Vickery was researching protein deficiency, fibromyalgia was also becoming a problem for many people, although it was still not recognized as a disease. Many of Vickery’s patients had a host of symptoms matching those of what today is accepted as fibromyalgia. Using TVM Vickery found that not only did all these people have DDD and protein deficiency, but also they were hosts for various bacteria and viruses such as strep, staph, hepatitis and Epstein-Barr (to name a few). All had heavy metals such as lead and mercury that the liver could not flush, so they were recirculated and stored in the tissues. They were also deficient in organic sulfur. 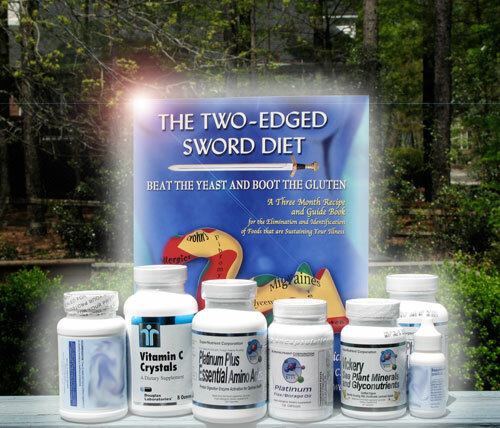 Many were also deficient in Vit.C, Vit.A, salt, iodine, and essential fatty acids. Vickery also found that most had a systemic fungal infection known as candida. 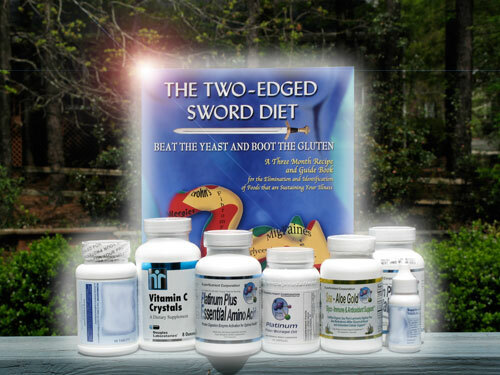 He found that if these patients did not follow a strict candida diet for the first month, that the body would not heal itself of disease, even with the needed systemic protein. 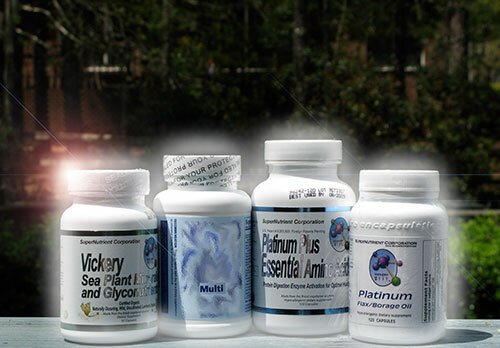 If the candida diet was followed along with the Platinum Plus and the supplements, testing showed that the body rid itself of viruses and bacteria within the first three to four months. After that if the patient followed a reasonable diet and continued taking the Program supplements, the long-term damage done to the body from the disease would heal over a period of time. 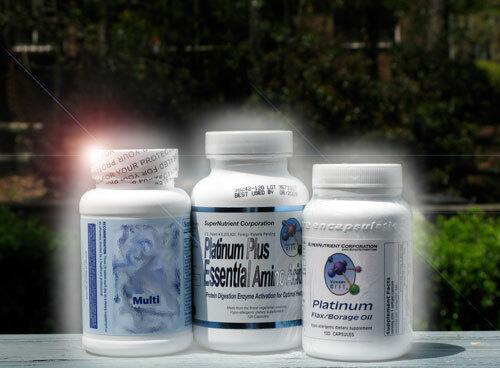 For instance, patients with serious liver malfunction from Hep.C feel significantly better in one month but they have to stay on the therapeutic dosage of Platinum Plus for a full year in order for the liver to completely heal. Vickery added extra sulfur and molybdenum to his blend in order to aid liver detoxification pathways to flush poisons, waste materials and heavy metals from the body, as well as address the sulfur deficiency he found in most people. Fibromyalgia is still looked at mostly as a collection of various symptoms that doctors are still struggling to connect into a “cause.” This is because the best definition for FM is a “gateway for disease.” Protein deficiency in the body causes it to become open to all manner of diseases, deficiencies, and symptoms. Vickery’s testing and research on fibromyalgia led him to the conclusion that there were five cornerstones of FM: 1) protein deficiency 2) DDD running the length of the spine 3) sulfur deficiency. 4) Heavy metal toxicity and 5) viral infection. When the protein deficiency is effectively addressed, DDD is reversed and other deficiencies, toxicity and infections can be taken care of. 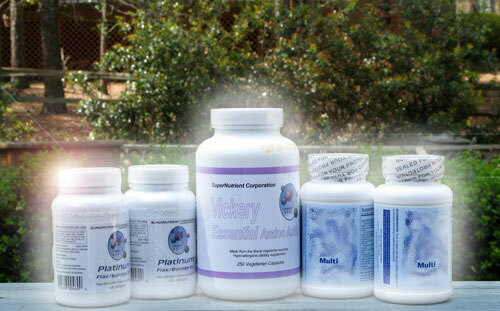 Further testing led Vickery to create a Fibromyalgia Program, which has successfully helped thousands of people of FM. Dr. Vickery is currently compiling the results of his work on fibromyalgia into a series of charts, which show the efficacy of his program. This research material should be available soon at http://www.fibromyalgiacure.com.